I blame google! That one little search box has become so ubiquitous that we expect it everywhere, and to reward us immediately with the right answers. Except… remember all those times – with increasing frustration – you’ve to click on to page 4 of the search results with no success? Well, you might on occasion find yourself in a similar position in an archives catalogue (Tip 1: Try adding info into fewer search fields. Just the keyword field if possible. Despite the number of options, less is often more in search). Although standards exist to try and ensure that archives are described in broadly the same terms everywhere, collections that have been processed by different professionals over potentially different decades may well have slight differences, and that’s before you take into account institutional quirks! Plus even if you hit gold on your first search, how do you know there isn’t an equally relevant stash of material you might be interested in (yes, I know, the Related Material field, see Part One!) but might not be related to the material you’re looking at (ha, gotcha!)? A basic understanding of how an archivist structures an archive catalogue can help you browse and discover new material. The sector is trying to make this more obvious via linked data, indeed you may have noticed tags starting to appear at the bottom of online catalogues that link to collections with a common subject/person/theme on some of the online portals. There’s an awful lot of work to be done to make all existing catalogues compatible with this, so being able to navigate a catalogue yourself is still a useful skill! 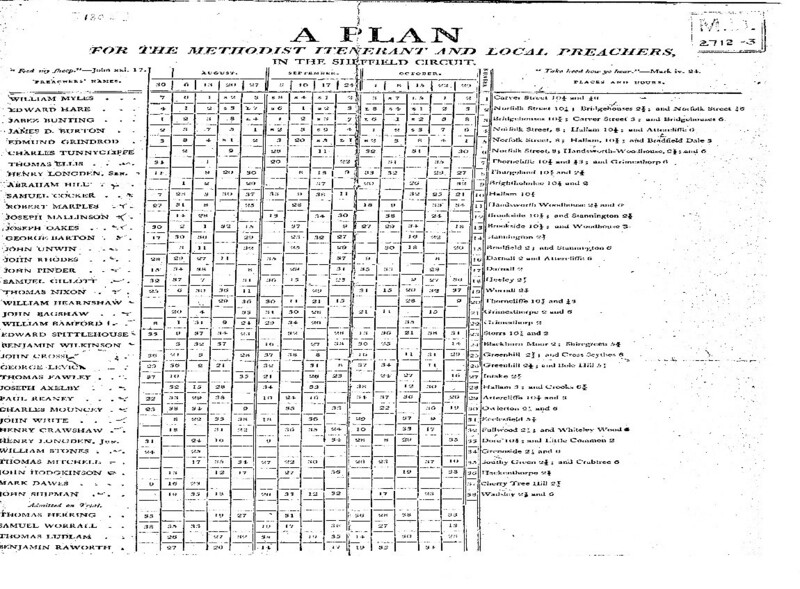 You might find it helpful, as I do, to imagine archive catalogues like family trees, although if they are displayed as a ‘tree’ they more usually look like computer file system trees. The broadest descriptions are at the top and the most specific at the bottom, or in our catalogue the broadest on the left and most specific on the right. The broadest description is the collection level description, in the trade we often call it the fonds record (it’s French but if you ever see it bandied about think: collection, as that’s broadly what it is). This record should be the broadest descriptor and encompass everything underneath it, from subject content to included formats. 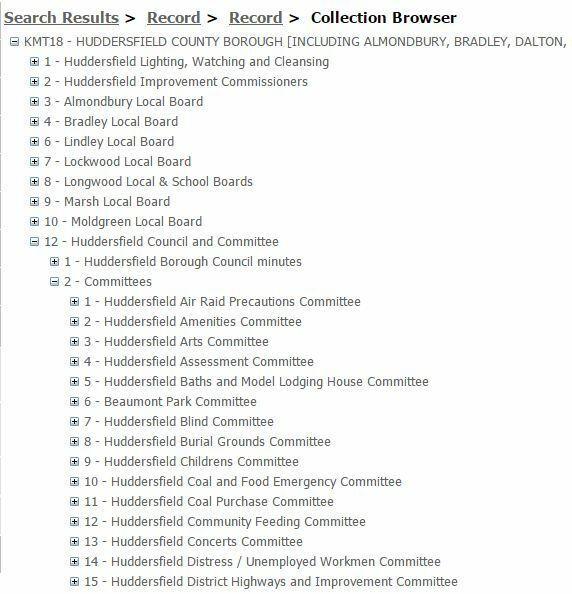 So if your results landed you in KMT18/12/2/13 Huddersfield Council Concerts Committee, you might not realise, until you get to this view of the catalogue that it might be worth looking in KMT18/12/2/3 Huddersfield Arts Committee, or to see if Lindley or Almondbury have an Arts Committee. Browsing has now opened up three other possible research avenues you may have not considered. If you know a particular form of words is in use this might help you find it in other parts of the catalogue or even other archive catalogues. If you’re researching death rituals and have been searching for cemetery records, then KMT18/12/2/8 Burial Grounds Committee probably wouldn’t have come up, but you can try your search again with burial grounds to see if it brings new results. So jumping into search can be great if you have a specific query in mind. But if you want to widen your research net, or you’re struggling to bring up what you need through search, browsing a catalogue can often be worth a go! Welcome to the Expert Researcher series. This is the first in a series of blog posts designed to clue you in on some of the parts of the archive catalogue you may not have paid much attention to before and how they can help you in your research. Whether you’re a budding family historian or a PhD student with a looming deadline, hopefully you’ll get something from this article. Requests are welcome! Whether you’d like to know what a particular catalogue field means, or which bit of the catalogue to look in to find a particular piece of information, just let us know, and we’ll do our best to help. When I talk about ‘fields’ I’m talking about the fields of a database in our collections management software (we use CALM if you’re interested). There are 26 fields of data in the ISAD (International Standard for Archival Description) standard, although only five of these are ‘mandatory’ for a basic catalogue. Title, Creator, Date, Extent and Description. This is what you’ll find in all basic catalogues or finding aids. We’ll often complete lots of the other fields too, during the course of our cataloguing. This is to prevent all the information remaining in the head of the Archivist and inaccessible to colleagues or other researchers. As I approach the end of cataloguing the University collection, I am now trying to come up with ways to splurge (it’s the right word, trust me) all the information I’ve picked up over two and a half years poking about in the records into print as much as possible. Yet if it’s not in the description field, only a small number of you may ever notice it, and whilst it may or may not show up on an online catalogue or printed list, if you know the information potentially exists, you may end up asking your local, friendly Archivist to check their system for it. This is a good thing. Knowing if there is any information in the Related Material field can help to kick start your research, by giving you links to other collections meaning you don’t have to start from scratch. Depending on the ways catalogues are displayed, this field might also contain links to articles written on collections or mini bibliographies the Archivist has used in cataloguing the collection. Strictly speaking, this belongs in the Publication Note field, but Related Material sometimes stands in for it when a catalogue is put online. And if the catalogue you’re looking at has no Related Material field, or doesn’t display this in the online catalogue, remember you can always ask your friendly searchroom staff or Archivist to check for you! Next Time: Catalogue structure – What exactly is a fond anyway? Are you interested in which of our collections might be useful for tracing your family history? Have you ever considered looking at the institutional records of the University of Huddersfield? Our institutional collection contains a myriad of records that could help you find your ancestors, or put their lives in greater context. 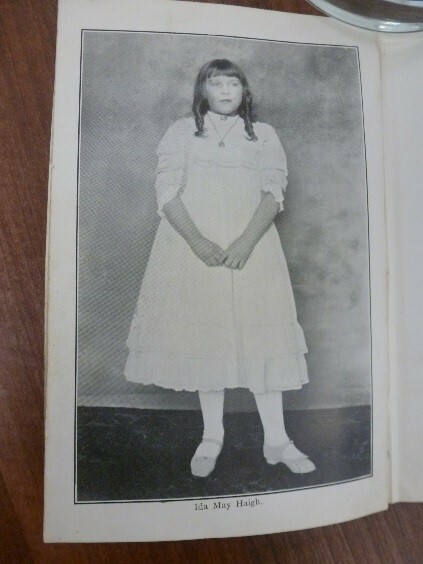 Some more modern student records are subject to closure periods because of Data Protection legislation, but we do have student records dating back to the 1860s, and details of prize winners, photographs and newspaper cuttings identifying students. We also have records about staff and their career development whilst with the Technical College. 12 Events of Christmas, an HQ redux! If you’re a regular blog reader, you may remember from this time last year, our ’12 days of Christmas’ themed ‘Developments in the Archive’ post, reviewing the year that we moved into our new facilities at Heritage Quay. This year, as our programme of events has escalated, I thought it might be nice to review 12 important/exciting events that have happened in Heritage Quay this year. If you missed out, don’t worry, check the Events Calendar and make 2016 the year you join us to learn more about our collections! 12. Twelve meetings have taken place this year for some of hosted societies, like the Local History Society and the Local Archaeology Societies. They have hosted talks on a wide variety of subjects, from the First World War to the female Pharaohs of Egypt. 11. 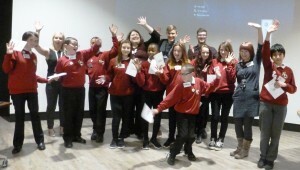 Eleven students from a local school joined us in November for a national Kids in Museums Takeover day. Spending a Friday with the Archivists and Engagement staff, students learnt basic conservation techniques and how to protect documents. They learnt about using digitisation as a method of preservation and providing access, carried out some market research for us, all the while reporting on their day across social media on their activities! 10. 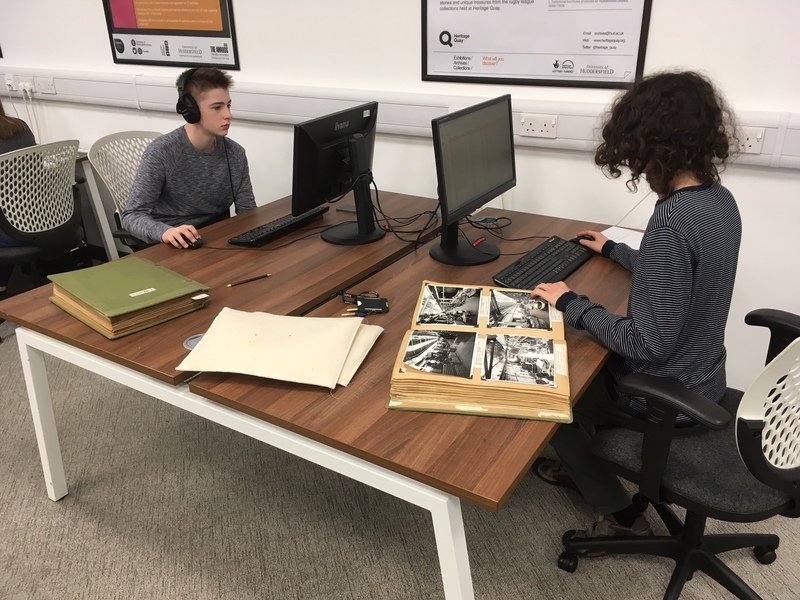 Many more than ten university students and classes have joined us in Heritage Quay since the beginning of term to hear one of our Introduction to Archives skills sessions! These started off by appealing to students in subjects like History where we have natural connections, but over the past few years we have broadened this to appeal to Textiles, Music, English and Computing students! There’s something for everyone in archives! 9. From fiction to fact, and the 1980s miners strike to 1940s war torn Europe, Heritage Quay has hosted a number of film nights throughout the year, either related to our own collections, as December’s ‘Dangerous Moonlight’ featured a track from our own British Music Collection, to Pride, hosted by the university’s Unison reps, to It’s a Wonderful Life, part of a series of films shown by the University’s Health and Wellbeing team. 8. We’ve been challenging students across the university to use the space in Heritage Quay	in different and non-traditional ways and they certainly haven’t disappointed! In March, Fashion students staged a vintage fashion show, ‘with a twist’, that being all the seating was arranged in a spiral instead of a traditional catwalk. Sound design and music students came in to demonstrate their new music projects through our sound system in December, and we hope for new and exciting innovations in this area next year! 7. 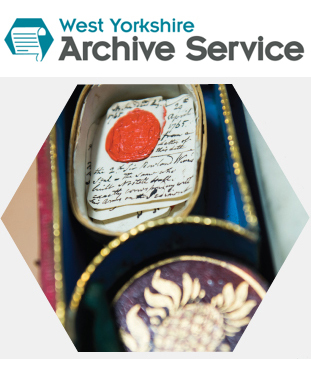 This year, we again joined in with the nationwide campaign to ‘Explore Your Archive’. Last year this took the form of a display of one of our political collections in the library, this year, we decided to spread the word about good archival handling and care skills by running a course for interested amateur archivists to learn collections care, cataloguing and promotion skills. Soon we’ll be running a course on palaeography (studying old handwriting), so get in on it while you can! 6. Over the past year, our Archivists have gone out to many local and national organisations giving six talks on our collections and the work we’ve been doing in Heritage Quay. These include a presentation on the history of Rugby League to the British Records Association, using the University collection for genealogy at Huddersfield Family History Fair, and Pecha Kucha talks on the engagement work going on as part of the HLF project. 5. We were joined by composers of the future, during the HCMF’s Under 5’s event ‘Music at Play: Graphic Scores for Under 5s.’ Toddlers (and their parents) explored the group space, and the textures, objects and sounds provided in order to inspire them to create a giant hands-on graphical score! 4. 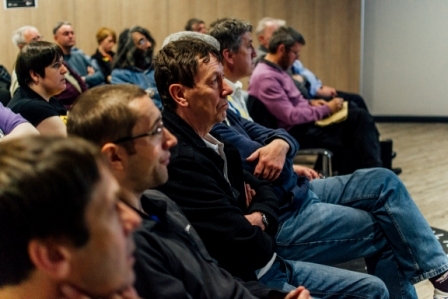 For four weeks, Rugby League history fans joined us and some eminent RL historians for a course exploring the Roots of Rugby League and birth of the game. 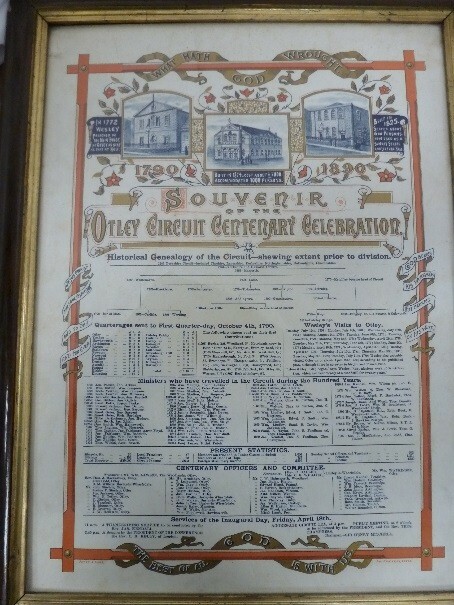 This involved studying some of the objects from our extensive Rugby League and Supporter collections. 3. This year we’ve run three Highlights exhibitions in our exhibition space. At the beginning of the year our Rugby League exhibition was still in situ. In April we installed an exhibition looking at important buildings in the fabric of Huddersfield landscape. The Local History, Civic and Archaeology societies and University history department all contributed their ideas and choices for streets and buildings important to their idea of the development of the town. This Autumn we welcome an exhibition on contemporary music, co-curated by many of our depositors, and featuring cases on dance band, brass band and 20th century music. 2. For this year’s Heritage Open Days, we ran two Lego serious play activities, once again exploring some of the architecture featured in our Huddersfield Gems exhibition. Youngsters could rebuild local landmarks, like the Lindley Clock Tower, from Lego, and design and create their own architectural landmarks. 1. Mikron Theatre Company visited us for the second year running this October, this time bringing the sweet smell of fish and chips for a performance of their sell-out show, One of Each! Rival fryers vied for the coveted Golden Fish Fork Award and the audience participated in voting for Cod over Haddock as the favourite dish of the day!